by Richard James Lane, published by John Mitchell, after C.S.L. C.S.L.. Artist associated with 2 portraits. 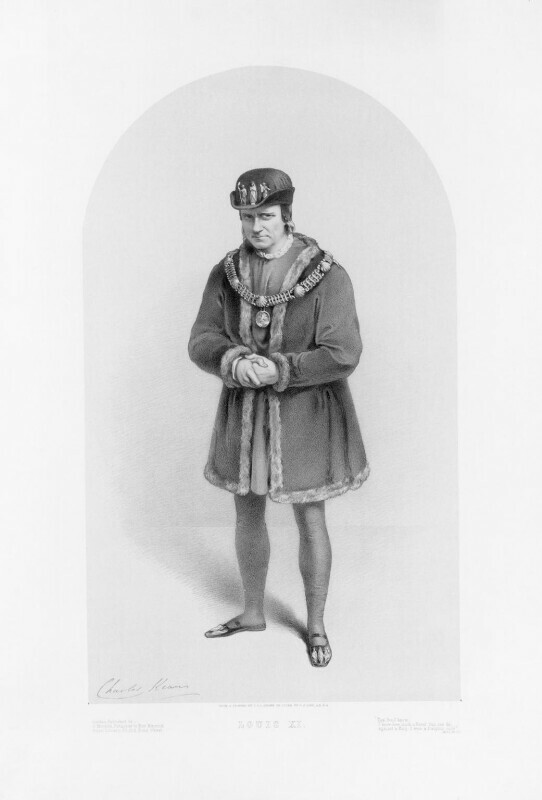 The king in Boucicault's adaptation of Delavigne's Louis XI was generally considered Kean's finest role, and was acted 91 times during his management.